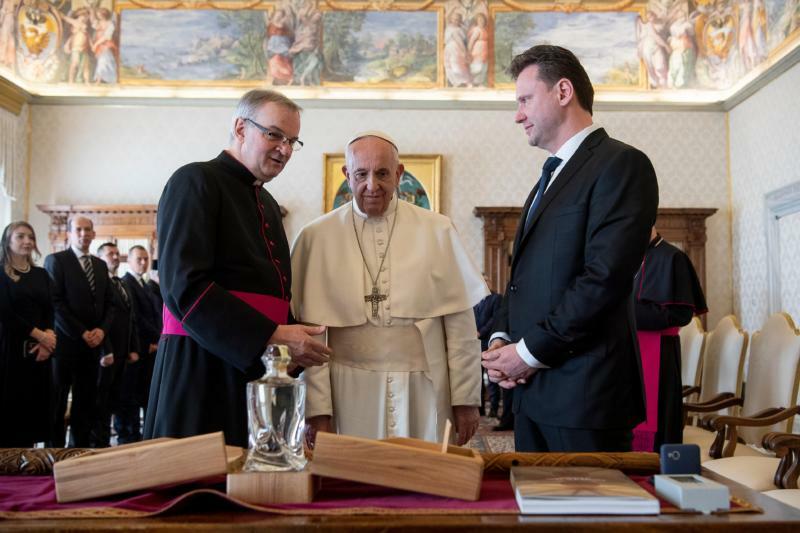 “I hope that such a significant spiritual heritage would give rise in all your fellow citizens to a desire for encounter and an openness to others,” the pope said March 22. Members of the parliaments of the two nations were in Rome to mark the 1,150th anniversary of the death of St. Cyril. He and his brother, St. Methodius, are known as the “apostles to the Slavs.” In the ninth century, they brought Christianity to the lands that are now part of the two nations and translated the Bible into the local language. The “spiritual and cultural wealth” left by the two brothers is something to be safeguarded and valued, the pope said. “Your history teaches that Christianity always has represented a source of the hope and strength needed to get up again, especially in the darkest and most difficult periods” of history.